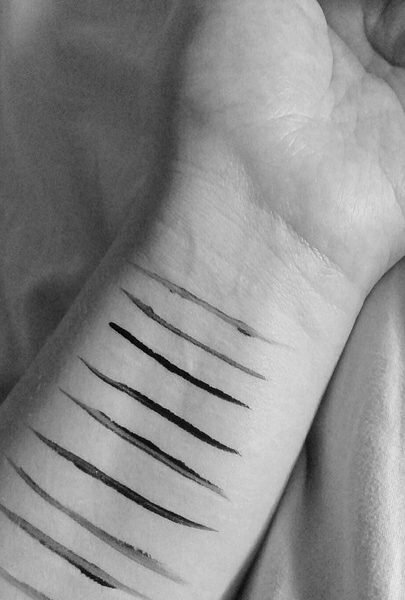 We all have scars. Embedded in every scar is a story and a lesson. The scars on the arms of an addict tell a different story than the scars on a breast cancer survivor. The scars on the wrist of a cutter tell a different story than the c-section scar on a mother holding her newborn. All scars tell a story of pain, joy, heartache, or hope. Jesus has scars too. You should look at them. In the book of Revelation, the Apostle John was given four glimpses of Jesus in Heaven. After the Apostle John gazed at the powerful Jesus and the enthroned Jesus, he gazed at the scarred Jesus. He wrote that he saw Jesus, and Jesus was “a Lamb standing, as though it had been slain” (Revelation 5:6). Those around the throne starting singing to Jesus, the slain Lamb, “Worthy are you to take the scroll and to open its seals, for you were slain, and by your blood you ransomed people for God from every tribe and language and people and nation, and you have made them a kingdom and priests to our God, and they shall reign on the earth” (Revelation 5:9-10). When the first two humans that Jesus ever created, Adam and Eve, sinned against Him, sin entered the human race (Genesis 3). The cost of sin is death (Romans 6:23) and separation from Jesus. Jesus immediately promised that He would come and conquer sin and death (Genesis 3:15). He quickly shed the blood of an animal and temporarily covered Adam and Eve’s sin (Genesis 3:21). For several thousand years until Jesus came to earth, lambs were slain to cover sins. The Old Testament of Jesus’ Bible explains how this happened over and over again and why it happened. It happened because “the life of every creature is its blood: its blood is its life” (Leviticus 17:14). Sin brings death. Life had to be taken and blood had to be shed to cover it. But no amount of blood from animals could take away sin (Hebrews 10:4). Only the sinless blood of Jesus could take away sin. So Jesus came as He promised Adam and Eve. He came as the Lamb of God who takes away the sin of the world (John 1:29). Isaiah said that Jesus was like a lamb led to the slaughter and He didn’t open His mouth (Isaiah 53:7). 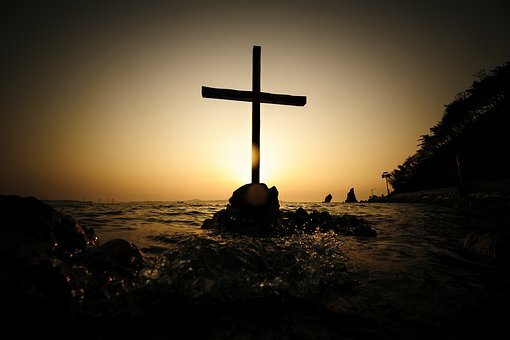 He willingly went to the cross to shed His blood for all mankind. He died to conquer sin and death so that we can live forever with Him! Jesus was brutally beaten all night long before He was hung on a cross for you and me. They tore His body open when the Romans scourged Him on the morning of His crucifixion. He was so badly beaten that Isaiah said His face was unrecognizable (Isaiah 52:14). They drove thorns deep into His forehead and drove spikes through His wrists and ankle bones on the cross. Jesus looked like a slain lamb. In Heaven, Jesus still has the scars. He still looks like a slain lamb. That is what John saw. You see, for all eternity, we will look at Jesus and for the first time fully understand what it cost Him to bring us to heaven. We will have glorified bodies (1 Corinthians 15:35-49). Jesus’ body will show us for billions and billions of years what it cost to give us those glorified bodies. Gaze at the scarred Jesus every day of your life. Every scar was for you. He was slain so that you can live in His presence in Heaven! His scars tell a story of salvation for the world! You can read in-depth about the other three glimpses of Jesus that the Apostle John was shown in my book How to Follow Jesus. You can follow my ministry at DonJennings3.com and on Facebook: Don Jennings. Jesus loves you!